Welcome to Your Gift Goddess, an online gift boutique that offers a fresh and irresistible selection of gifts that allows the giver to make a heart-felt gesture and be confident that the gift will delight, charm and warm the recipient....all in one place with the convenience of shopping online! 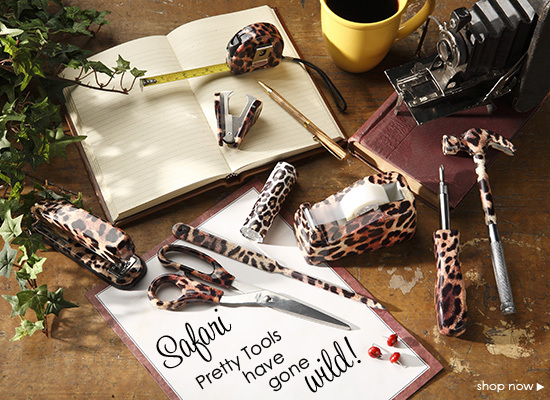 Pretty Tools has gone WILD! Pretty Tools were designed with the woman in mind. Made with pretty floral and animal prints on them, no Real Man will be seen with them. Pretty Tools makes the perfect gift for birthdays, house-warmings or for newlywed's. Every woman needs her own set of Pretty Tools!